A total drilling rig system usually contains drilling floor block, mud solids control block and recovery, mud pump and power block. 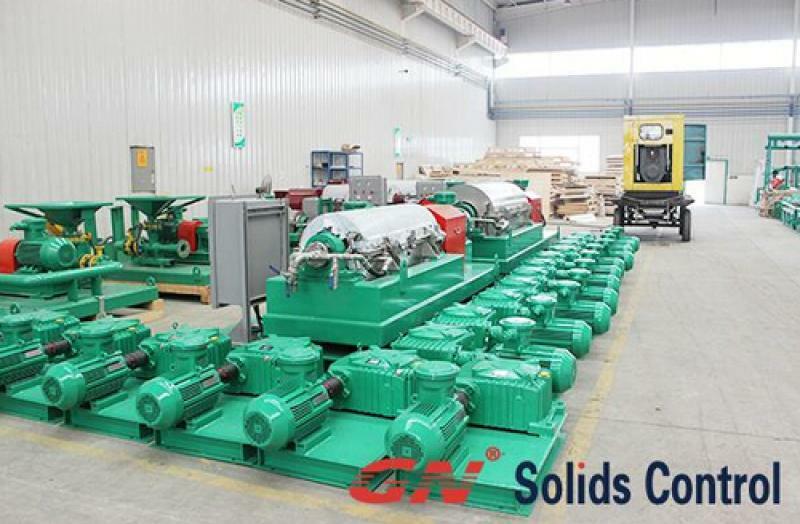 Concerning these, the mud solids control and recovery block is composed of drilling mud recycling and drilling waste cuttings system. This block can be used to maximally recover the valuable drilling mud as well as decrease the waste discharge. 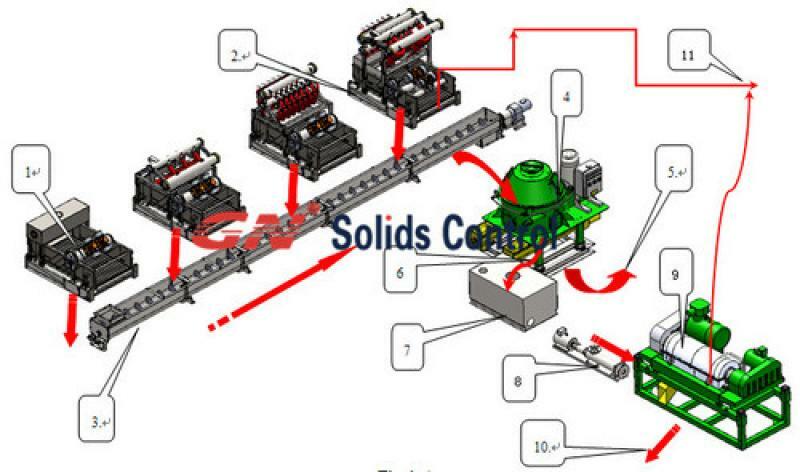 The drilling waste cuttings management system occasionally called the further treatment method for solids control. Since the cuttings was delivered from out interface of the primary solids control equipment like shale shaker and mud cleaner towards the cuttings dryer device. 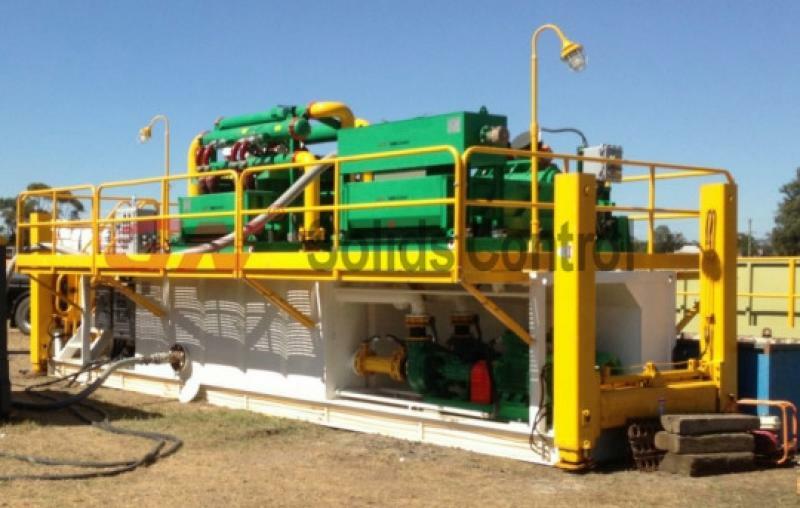 The principal equipment for drilling waste cuttings recovery consists of cuttings transferred equipment, Verti G cuttings dryer, feeding pump and decanter centrifuge. The cuttings transferred devices is being regarded as a bridge connecting the primary solids control system to the waste management unit. The typical and well-liked approach to transfer the cuttings is to utilize the screw conveyor and hose pump. The screw conveyor itself has a gathering groove and the screw propeller push the cuttings to the Verti G cuttings dryer. Since the screw conveyor is engineered to shift the cuttings around an upright line. Usually, on the spot, there are not just 1 unit screw conveyor, several unit screw conveyors are situated crossing with certain angles so as to the waste cuttings can be delivered to the cuttings dryer. While the cuttings dryer feeding port is high, the screw conveyor is sloping. Subsequently if the waste cuttings are high liquid content, the liquid might be regurgitate and overflow off the conveyor. The hose pump is a new, multifunction and multipurpose industrial pump. There is a particularly made rubber hose with smooth inside and high strength installed in the pump body. The hose pump has a exclusive structure with no sealing aspect, no leakage and no pollution. It has a high suction capability, self-cleaning capability, sucking material in two instructions. The hose installed in quite simple and operation is effortless, and the maintenance charge is low. The most essential is no block when pumping fluid with high viscosity and foreign substance content. The drilling waste cuttings transferring equipment is important throughout the operation. 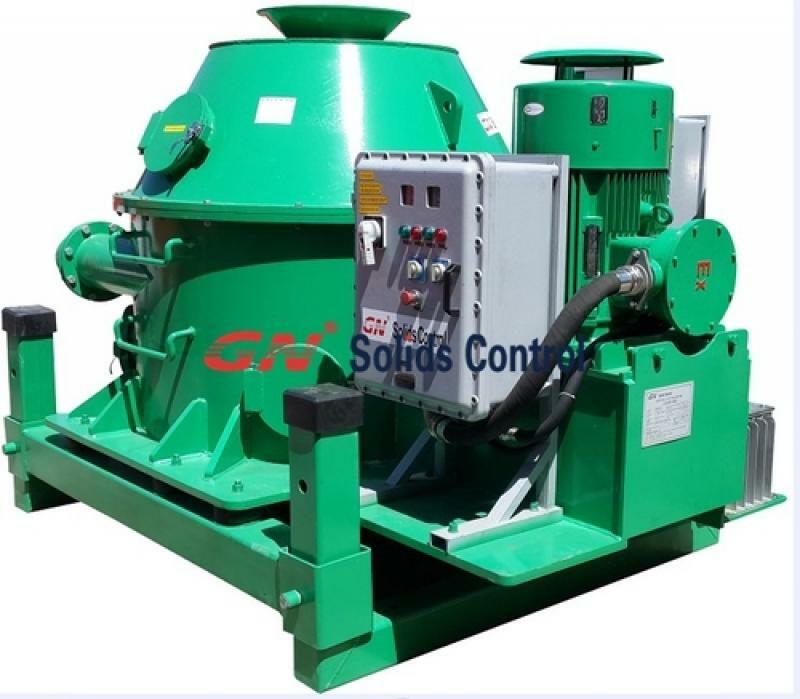 GN Solids Control has applied both of the screw conveyor and hose pump in the design of the drilling waste management system, for more information and facts, please get in touch with GN freely. 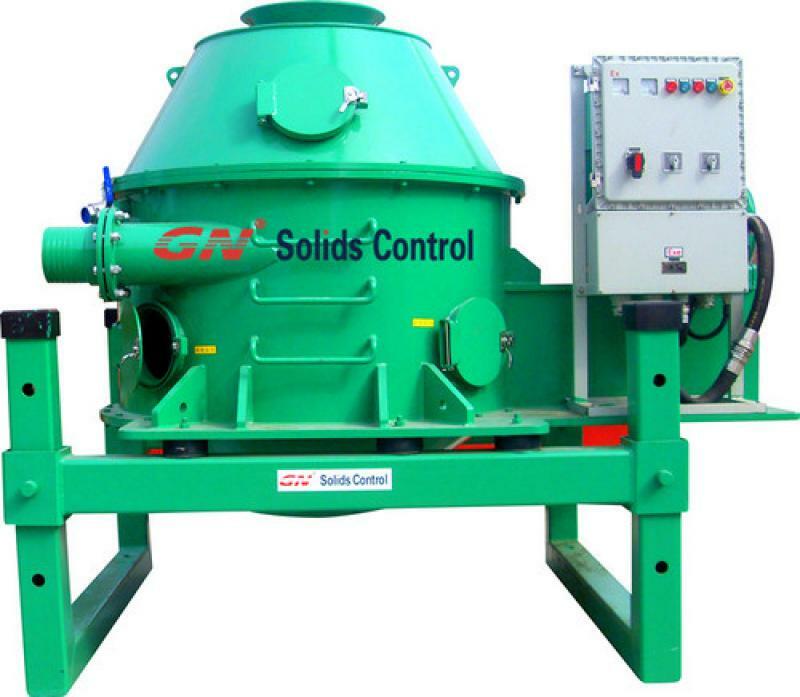 Vertical Cuttings Dryers are generally used to reduce the amount cuttings discharge from water based mud (WBM), oil based mud (OBM) or synthetic based mud (SBM). Right now, as people pay much more attention to environment protection, the cuttings dryer are used more frequently. There’s another important reason, according to research, 1 to 4 barrels of clean drilling liquids can be also be recycled when 1 barrel of drill cuttings are separated by solids control equipment, which means using vertical cuttings dryer is very cost-effective in the long run. Depend on different situation, we can choose a screw conveyor or a vacuum device to transport the drilling fluids to the vertical cuttings dryer. 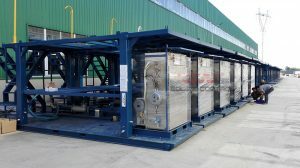 In the daily use, it’s quite common that a vertical cuttings dryer is equipped with a screw conveyor. A: 1-shale shaker; 2-mud cleaner; 3-auger conveyor; 4-vertical cuttings dryer; 5-waste discharge;6- recovery of mud; 7- Collection Tank; 8-centrifuge feeding pump or screw pump; 9-centrifuge 10-solid discharge port; 11- Clean mud recovery mud system. From the above picture, we can see clear about the workflow: Drilling mud from rig enter into shale shaker(1),mud cleaner(2).After treating by these two steps, the drilling cuttings enter into vertical cuttings dryer by auger conveyor(3). Solids enter the Vertical Cuttings Dryer (4) through the top feed inlet and are separated inside the Dryer. The clean solids exit the bottom of the Dryer and are discarded overboard (5) or collected in Cuttings Boxes for offsite transport and disposal. The recovered liquid is routed to a Liquid Collection Tank (7). The recovered liquid is conveyed by screw pump (8) and then processed through a decanting centrifuge (10) for final clarification, storage, and reuse (11). The drilling fluids from vertical cuttings dryer contain a percentage of low gravity fine solids. 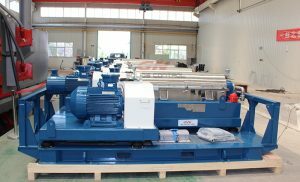 Before the mud is discharged to the active system, it should be treated by a high speed centrifuge. However, this may not be necessary in all conditions.